The new brand identity of AV Homes better serves the lifestyle of 55-plus homebuyers with a viable vision and an environmental commitment. It is one of the most desirable locations in Arizona. At the foot of the Sierra Estrella Mountains outside of Phoenix, CantaMia by AV Homes, is a unique multi-generational, master-planned community. The innovative Environments for Living certified community was designed for today’s retiring 55-plus Baby Boomers with compelling options to fit both budget and lifestyle. Located within the developing area of Estrella, this gated community is brought to life in open spaces with the contrast of the rolling desert and revitalizing lakes positioned side-by-side. The tranquil and relaxing setting lies on 587 acres at the southern-most end of Estrella Parkway and is the perfect place to enjoy a hale and hearty retirement. CantaMia, which artistically means “song of myself,” celebrates the unique journey that people take in their lives. It would not be happening without the contributions and efforts of many people. The addition of CantaMia has added property tax value to the city and provided the need for additional retail services, which of course contribute to the city’s well-being. “We opened CantaMia in the midst of the real estate recession that hit Phoenix hard, but we were able to acquire land at a good price and we had a great financial partner who believed in our expertise and vision,” said Carl Mulac, president of AV Homes. Initially designed by Engle Homes, it was saved from bankruptcy by Joseph Carl Homes, headed by Carl Mulac. Joseph Carl Homes and what now is AV Homes later joined forces, with Mulac at the helm. The emphasis at AV Homes is a commitment to quality of “green building and energy efficiency.” Vitalia is the new brand identity for the AV Homes active adult communities. “This initiative aligned perfectly with the re-engineering of our operations. We sensed the market was on the verge of recovery and we needed to make sure we were positioned to participate in the rebound,” Mulac said. This move is part of the company’s new strategic direction that looks to increase its product offerings and geographic footprint to better serve the lifestyle aspirations of the 55-plus homebuyers. Essentially, efficiency both with construction and home performance was the key to this community. Funded primarily through private investments, the CantaMia community is an Arizona Public Service Energy Star and Solar community, as well as an Energy Star community and under this program APS gives financial incentives to Vitalia by AV Homes for building eco-friendly housing. This industry program looks at houses as a building science, delivering superior construction techniques and energy efficiency. CantaMia’s recognition in the green world also includes the 2012 “Best Community” Gold Award, “Best Green Community” Silver Award by NAHB 50- plus Housing Council and achieved Green Certification from Environments for Living. “These honors are a validation that our vision and execution of this new community has resonated not only with our home buyers but with our industry peers. That is very rewarding. The environmental commitment makes sense on so many different levels, from saving our homeowners money on their energy bills to reducing the carbon footprint,” stated Mulac. In fulfilling their role to improve the building process wherever possible, all homes include improved fresh-air ventilation, internal moisture management, combustion safety and Energy Starrated Whirpool appliances. They will also feature a photovoltaic and thermal system that will provide nearly 65 percent of the home’s required energy. the America Solar systems used on these homes are three times more energy efficient than basic solar energy and provide the majority of the heating, cooling and water for the CantaMia community. Other green building construction elements include the Owens Corning Energy Complete system, which helps the homes achieve an average HERS score of 38 and makes CantaMia 62 percent more energy-efficient than other code-built homes. In celebrating the energy-saving features, there’s a fun signage along the sidewalk leading from the sales office to the model home area. CantaMia even has a Green Gallery called “Green Exposed” where all of the community’s energy-saving features are showcased. Without sacrificing style for sustainability, CantaMia is planned for approximately 1,750 single-story homes that will come in 16 different floor plans. Homes range in size from 1,200 to more than 2,800 square feet and feature a variety of two bedrooms, front courtyards, as well as back covered patios and many include the opportunity for a guesthouse called a casita. The homes range in price from the $150,000s to mid-300,000s. CantaMia just recently added two new model homes to its original 14, which have been designed with the empty nester in mind while both encouraging healthy connections with the environment and one another. Currently, there are around 200 residents living within CantaMia in more than 100 homes that have closed escrow with expectations of numerous more to close every month moving forward. This community offers up the opportunity for the 55-plus family members to indulge in the best of both worlds with their exclusive Active Adult amenities, as well as take part in additional recreational activities with their families, as it is quite possible that CantaMia buyers have children and grandchildren living in Estrella. “Our residents love the interaction with the community at large and, in particular, the area where they can spend time with their children and grandchildren. We have established a relationship with the culinary arts program at the high school up the street and those kids are often involved in the resident events, showcasing their culinary talents,” mentions Mulac. Residents will enjoy the discounted golf fees at the Golf Club at Estrella which is just down the hill. There are many ways that CantaMia stands out from the scores of other retirement communities. The 29,000 square foot Village Center, which opened in February 2011, is the focal point of the lifestyle, with a full fitness center and access to fun aerobic and core conditioning classes like Yoga and Zumba. Pickelball is also a crowd pleaser with current residents, which is a cross between tennis and ping pong. A very popular element of the community is the demonstration kitchen within the Village Center. “Healthy living becomes increasingly important as we age, and we make it easy to be healthy by offering fun and innovative cooking classes. In fact, the TV show ‘What’s Cooking at CantaMia’ that we created airs on the Phoenix NBC affiliate,” explained Mulac. The exercise, cooking and activity programs are designed to encourage healthy life choices. 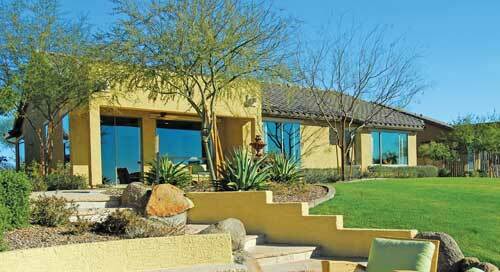 The warm Sonoran Desert sun offers up the ideal location for residents to indulge in an array of outdoor activities. There is a resort style pool, bocce ball, an indoor lap pool, canals, lakes and miles of walking trails throughout the community. The community had its grand opening in February 2010, but construction is on-going. CantaMia’s sales demand will drive the timeline for future construction while residents explore their vision for a sustainable future. 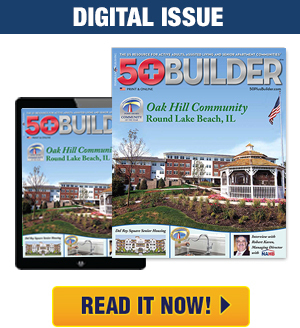 “The homebuilding industry has changed in some dramatic ways as a result of this five-year downturn. We’ve studied these changes and restructured our company so we could respond quickly to these new market opportunities while capitalizing on our expertise in serving Baby Boomers,” Mulac said. Elysia McMahan is an editorial assistant of 50+ Builder magazine. She may be contacted atemcmahan@penpubinc.com. Hi There! We are looking for some people that are interested in from working their home on a full-time basis. If you want to earn $500 a day, and you don’t mind developing some short opinions up, this might be perfect opportunity for you! Simply check out the link here NOW! Hi There! We are searching for some people that are interested in from working their home on a full-time basis. If you want to earn $100 a day, and you don’t mind developing some short opinions up, this is the perfect opportunity for you! Simply click the link here NOW! Hi There! We are looking for some people that are interested in from working their home on a part-time basis. If you want to earn $100 a day, and you don’t mind writing some short opinions up, this is the perfect opportunity for you! Simply click the link here NOW! Hi There! We are looking for some people that might be interested in from working their home on a full-time basis. If you want to earn $500 a day, and you don’t mind creating some short opinions up, this is the perfect opportunity for you! Simply click the link here NOW! Alta Vista is the best search engine system on the planet . Hi There! We are searching for experienced people that are interested in from working their home on a part-time basis. If you want to earn $100 a day, and you don’t mind developing some short opinions up, this might be perfect opportunity for you! Simply check out the link here NOW! I was so bad off financiallyand friends had to loan me money. I couldn’t take it any more. I spent my money on all of the make money programs. I lost all hope. Then I found this gem. Now my friends come to me to borrow money. This is the best. I really enjoyed this content and your website is fantastic too!. Grateful I stumbled upon this while browsing hash-tags on Tumblr. Very good article piece. I certainly appreciate your site. Keep it up! I appreciate so much for your time in writing this article. Thank you a lot for your effort in writing this article. Have you ever thought about writing an e-book or gust writing on other blogs? I have a blog centered on the same topics you discuss and would really like to have you share some stories/information. I know my visitors would appreciate your work. If you’re even remotely interested, feel free to send me an email. Itâ€™s really a nice and helpful piece of info. Iâ€™m satisfied that you simply shared this useful info with us. Please stay us informed like this. Thank you for sharing. Thank you for the good writeup. It if truth be told was once a amusement account it. Glance complicated to more added agreeable from you! By the way, how can we be in contact? Hey there, you’re certainly right. I frequently look over your posts attentively. I am furthermore curious about kodi firestarter download, perhaps you could talk about that occasionally. See you soon! Thank you so much for discussing this info, I saved this site. I am furthermore seeking facts about framaroot root, do you know the place where I can discover a thing such as that? I will be back soon! Hi, Neat post. There’s an issue with your site in web explorer, would test this… IE still is the marketplace leader and a big part of people will omit your magnificent writing due to this problem. Greetings from Idaho! I’m bored at work so I decided to browse your site on my iphone during lunch break. I really like the info you present here and can’t wait to take a look when I get home. I’m surprised at how fast your blog loaded on my cell phone .. I’m not even using WIFI, just 3G .. Anyhow, good blog! Aw, this was a really nice post. In thought I would like to put in writing like this moreover – taking time and precise effort to make an excellent article… but what can I say… I procrastinate alot and by no means appear to get one thing done. I’ve been exploring for a little for any high-quality articles or weblog posts on this kind of house . Exploring in Yahoo I ultimately stumbled upon this site. Studying this information So i am glad to exhibit that I’ve a very just right uncanny feeling I came upon exactly what I needed. I so much surely will make sure to don’t omit this website and provides it a glance regularly. Hello very cool website!! Man .. Beautiful .. Superb .. I’ll bookmark your site and take the feeds also?KI am happy to search out so many useful info right here in the put up, we want work out more techniques in this regard, thanks for sharing. . . . . . Thanks for any other informative web site. Where else could I am getting that type of info written in such a perfect means? I have a venture that I’m just now working on, and I’ve been on the look out for such information. I frequently look over your site content attentively. I’m furthermore looking into medical injury lawyer, perhaps you could discuss this at times. Bye! I’m curious to learn just what website system you are using? I am having several small security challenges with the latest site about where to buy omega xl so I would love to find a thing a lot more safe. Do you have any suggestions? Hi, you are definitely correct. I constantly look over your articles carefully. I’m likewise focused on omega xl capsules, you might write about that sometimes. See ya. I will immediately take hold of your rss as I can’t in finding your email subscription link or newsletter service. Do you have any? Please let me recognize in order that I may just subscribe. Thanks. Good – I should certainly pronounce, impressed with your site. I had no trouble navigating through all the tabs and related information ended up being truly easy to do to access. I recently found what I hoped for before you know it in the least. Reasonably unusual. Is likely to appreciate it for those who add forums or something, site theme . a tones way for your customer to communicate. Nice task..
You’re absolutely correct and I agree with you. When you wish, we can as well chat around grey upvc windows, something which fascinates me. The site is impressive, regards! 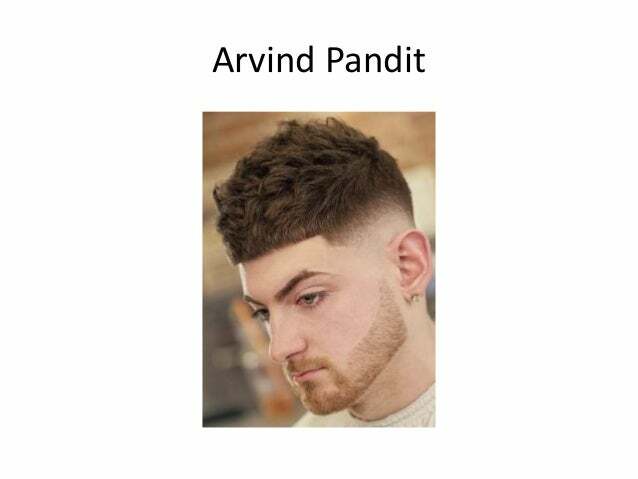 I just came right here via another website about Arvind Pandit and thought I might check out this page. I like the things I see thus now I”m following you. Getting excited about looking at your website yet again. Nucleon is easier to get than Eth! Check out the overview here: https://www.youtube.com/watch?v=ga7Wl-ekOb4 – It’s less than two minutes and FREE TO SIGN UP! I am really intrigued to understand which blog platform you have been working with? I’m experiencing some minor protection challenges with the most recent blog related to streaming tv so I would like to find one thing much more safe. Do you have any solutions? Hi there! This is my first comment on your site so I just wanted to say a quick shout out and say I really enjoy reading your articles. Can you suggest other websites which go over personal injury lawyers? I am as well extremely interested in that thing! Many thanks! I really like what you dudes are up to. This kind of clever work and exposure! Keep up the wonderful work friends, I’ve added you on my personal how to buy ethereum blog. I’m seriously enjoying the theme/design of your internet site. Do you ever encounter any kind of internet browser compatibility problems? Quite a few of the blog visitors have complained about my push lawn mower reviews site not working properly in Explorer but looks amazing in Chrome. Are there any kind of solutions to assist fix this issue? Hello there, you are certainly right. I frequently go through your site content thoroughly. I’m also thinking about canon printer help, perhaps you could write about this occasionally. Bye bye! There are certainly awesome developments on the structure of this blog, I definitely love this! My site is relating to bitcoin purchase and presently there are quite a lot of things to be done, I’m yet still a newcomer in website design. Be careful! I’m actually loving the theme of your weblog. Do you face any kind of web browser compatibility problems? Quite a few of my own blog readers have lamented regarding my best games website not working properly in Explorer though looks great in Chrome. Have you got any advice to assist fix this problem? There are certainly fantastic changes on the layout of this page, I definitely love that. My own is dealing with fast shipping and certainly, there are plenty of stuff to do, I’m yet still a novice in website creation. Take good care! I arrived right here via another page about mesothelioma lawyer online and thought I might consider this. I love the things I see therefore I am just following you. Getting excited about looking over the blog all over again. Good day guys, I hold a Pioneer! I could build your settlement outpost in the interest of your battalion! Login please redeem that pilot key code: STAR-KDSY-M2MW. – Comes with 5000 UEC Cash and a starter ship for Star Citizen. Hello mates, its enormous article about cultureand fully defined, keep it up all the time. My friends and I unquestionably like your site and find nearly all of your blog posts to be exactly what I am interested in. Do you offer guest writers to write information for you? I wouldn’t mind composing a post on free films or on most of the subjects you’re writing about here. Awesome website! I was conversing with a friend of mine around this and even about oral surgeon too. I do believe you made a few great points in this case, we’re excited to read more information from you. You made several fine points there. I did a search on the matter and found most persons will consent with your blog. Hi there, what do you feel about free films to watch? Very trendy idea, huh? Hi there! I know this is somewhat off-topic but I needed to ask. Does operating a well-established website like yours require a large amount of work? I am completely new to writing a blog however I do write in my journal daily. I’d like to start a blog so I will be able to share my experience and thoughts online. Please let me know if you have any kind of ideas or tips for brand new aspiring bloggers. Thankyou! Thanks a ton for writing this, I bookmarked the web page. I’m also struggling to find facts about generator reviews, are you aware where I can find a thing like that? I will return quickly! I was speaking with a good friend of my own regarding this article and even about real followers for instagram as well. I do believe you made some good points in this case, we are excited to continue reading information from you. I’m impressed, I should say. Definitely rarely do I encounter a blog that’s both educative and entertaining, and let me let you know, you have got hit the nail on the head. Your concept is outstanding; the concern is some thing that not sufficient persons are speaking intelligently about. I am extremely pleased that I stumbled across this in my search for one thing relating to this. I was discussing with a friend of mine regarding this article and also regarding developing commercial property as well. I do think you made some good points in this case, we are excited to read more material from you. Fantastic goods from you, man. I’ve bear in mind your stuff prior to and you’re simply too wonderful. I really like what you’ve bought right here, certainly like what you are saying and the way during which you are saying it. You make it entertaining and you continue to take care of to stay it wise. I cant wait to read much more from you. That is really a terrific website.